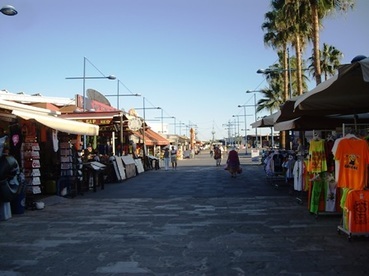 Ayia Napa harbour area is a must visit part of the town and offers something to see and do both in the daytimes and at night. 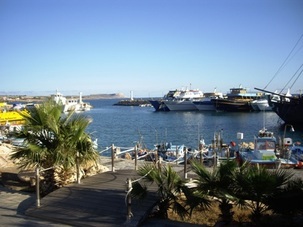 It has spectacular views out towards Cape Greco and over the Mediterranean sea. Once a tiny fishing shelter, these days the traditional fishing boats rub shoulders with all sorts of modern tourist submarines and pirate ships. Much of the resorts fresh fish is still landed here and if you're up early enough you can purchase fresh fish straight off the boat. The harbour is pretty and generally quite peaceful and is a great place to spend an hour or two just soaking up the atmosphere. 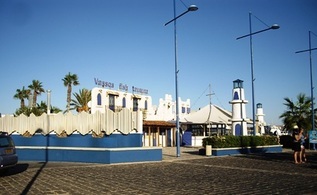 As well as the mooring facilities for boats, there are numerous restaurants at the harbour, most serving excellent fresh fish at great prices. 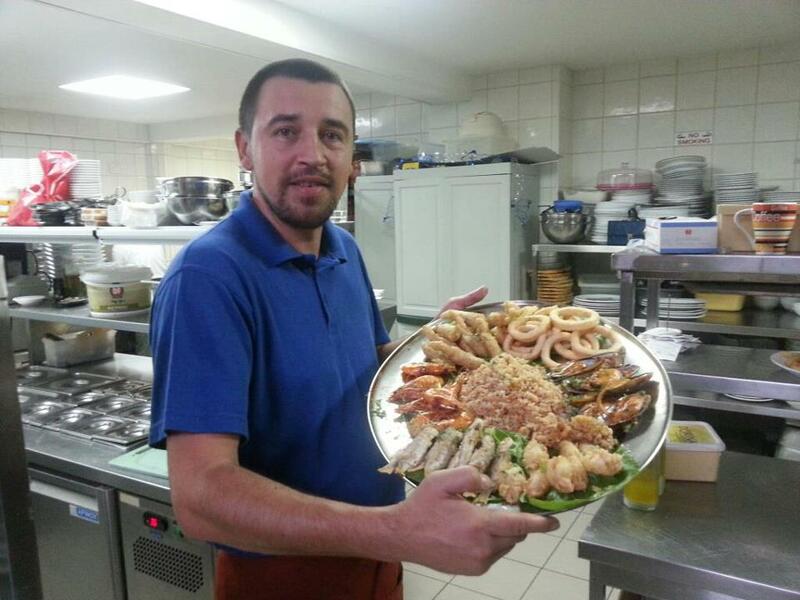 If you're too spoilt for choice with the extensive menu's you could opt for a fish meze where you get a bit of everything to try. 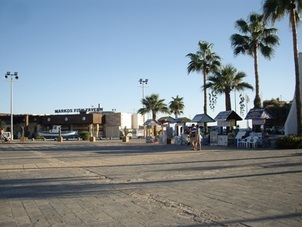 This beach is known by many names, including Pantahou Beach, Kyrou Nero (sweet water), Limanaki Beach, Ayia Napa town beach, Grecian Bay and Harbour beach. 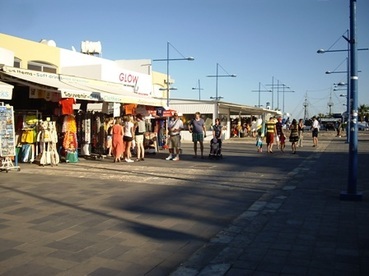 The harbour in Ayia Napa also has a selection of shops selling a selection of beachwear, souvenirs and clothing. Bars at the harbour are family friendly and low key and include the Queen Vic and Bulldog Inn as well as a couple of cafe's and snack bars. There are lots of boat trips which sail from Ayia Napa harbour every day throughout the summer months. 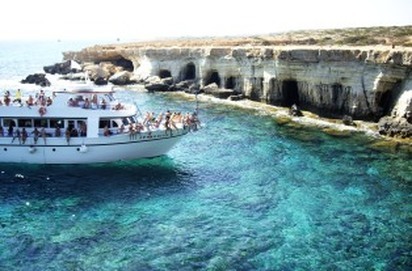 A boat trip is a great way to see the dramatic cliffs of Cape Greco and the sea caves, view the ghost town of Famagusta from the sea, and admire the pretty coastline of the Eastern coast of Cyprus. There is a huge choice of boat trips from Ayia Napa with something to suit all ages and budgets. There are short 1-2 hour trips and longer, full day cruises. There are glass bottom boats, submarines, pirate ships, safari boats and more traditional cruisers for a lazy day voyage along the coast. Booze cruise and party boats also go from here and these are very popular. 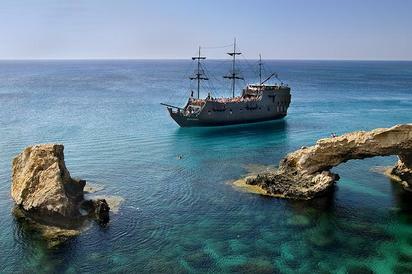 Most boat trips will offer the chance to swim in the crystal clear waters of the med. Some also provide snorkels so you can view the underwater world. Fun family friendly trips such as the Black Pearl Pirate Ship also include an entertainment programme with a pirate and cannon show. Treat yourself to a relaxing Catamaran cruise or if you're in Ayia Napa to party, then the Kandi Boat Party is a top way to spend a saturday afternoon. New for 2012 was a wedding bower right on the ocean front which is licensed for wedding ceremonies and provides beautiful wedding photo's. 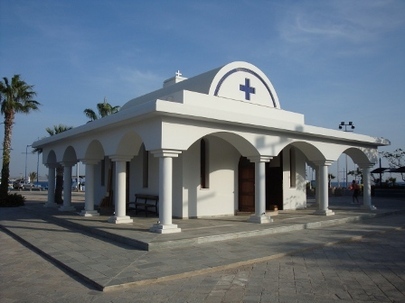 St Georges Church is located at the harbour. 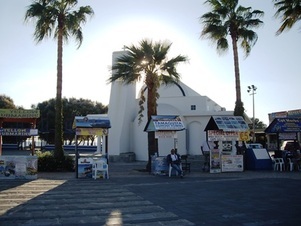 The harbour is the site of the Kataklysmos Festival Celebrations (Festival of the Flood) which is held at Pentecost in late May or early June. The festival includes live concert performances, dancing, fireworks and other entertainments. 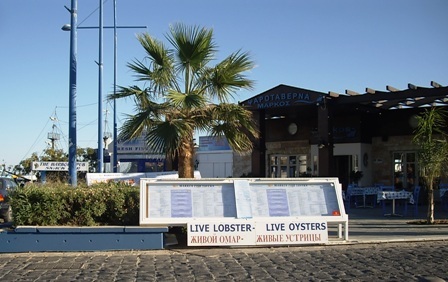 The Ayia Napa Youth festival is also held at the harbour and features international rock bands in concert. A good sized car park is available for parking.